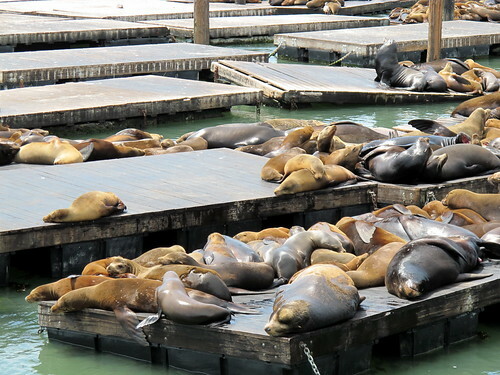 Today Sea Lions are one of the tourist attractions of San Francisco. But it has not always been like this, just yesterday people celebrated the 20th year of their residence in Pier 39 docks. 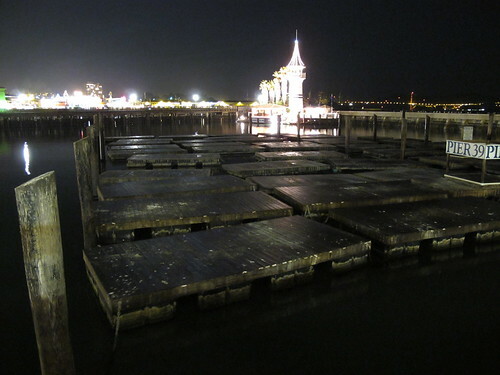 There was a reason to celebrate as just 6 months ago all the Sea Lions disappeared over night (below my photo from 23rd of December 2009). Disappearance got people puzzled. No one seemed to know the reason and the most worrisome were certain that this was a sign of the BIG earthquake. Interestingly enough the Pier 39 Sea Lions are not the only urban flock of animals around North Beach, but there are also the wild parrots of Telegraph Hill. No one really knows where the parrots came from, but they have been living on the hill even longer than the Sea Lions on the Pier 39. There is a great documentary about the parrots: The wild parrots of Telegraph Hill.